Indict and Destroy Mueller, Clintons, Obama With Citizens Grand Jury! Citizen Grand Juries to Start on Sept. 25, 2018. 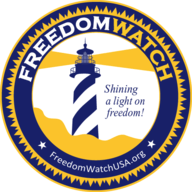 Support Them by Going to www.FreedomWatchUSA.org. Please Also Donate and Share!